See your little Buddy on Facebook!! Like DogPad on Facebook and you will get pictures of the daily dogs that are staying at Dogpad. You can talk to other Doggy Parents or ask Tory for an update on you fur kid while you are on vacation. Dont forget that all new canine clients must come for a tour prior to booking. Not going out of town? 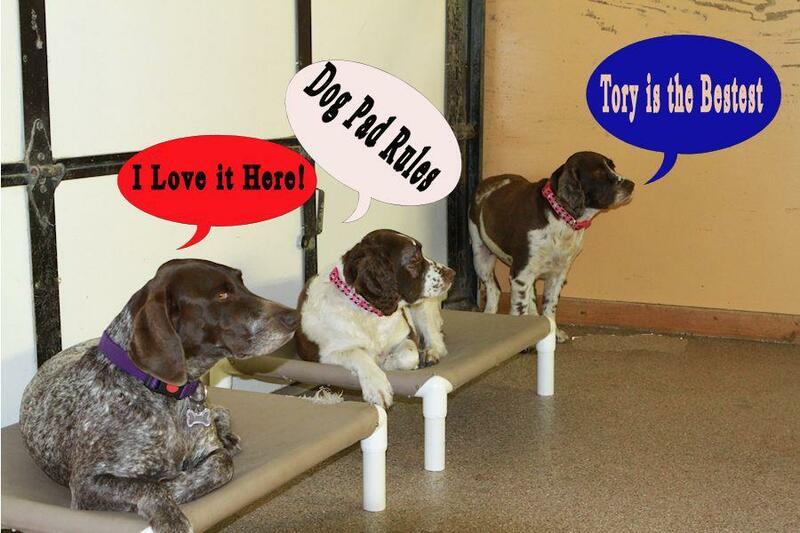 Dog Pad is great for getting out some of the pent up energy in your canine kid! Dog day care is great for busy owners (cleaning house, shuffling kids and family), canine exercise (your k-9 kid will be exhasuted after a day of play), behavior problems, socialization (dogs are pack animals so let your canine become part of Dog Pad's day care pack), separation anxiety, puppies, potty training, & learning obedience skills. Call Tory at 612-747-0454 for reservations and more info. Tours are required for all NEW canine clients. 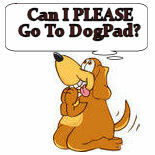 Calling All Dog Pad Parents!!! Dog Pad is now a Nutri-Source Dog Food dealer. 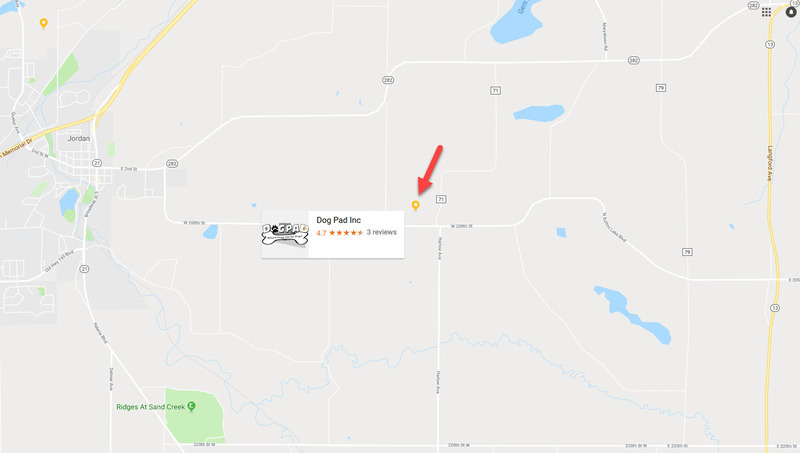 Dog Pad's discounted price for Nutri-Source is far below pet stores and you can even have delivered right to your door! Call Tory for details. Give us your Email address, Please! 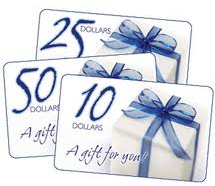 We are still looking for e-mail addresses of all our existing and new customers. Monthly updates, news, information and yearly newsletters will be sent electronically. Please e-mail Tory with your canine kids name in the subject line so that we can continue compiling our database. Dog Pad Customers that have a Keypad for the Garage Door . As we head into summer, our dogs can be in danger of over heating, as they primarily regulate their body temperature through panting--a natural activity that removes heat by passing cool air over the moist surface of the tongue and lungs. In summer's heat, people take advantage of chilled drinks, ice cream and other cold treats, so why not do the same for our precious pups? But Ice cream, the cool confection we get in cones and dishes, can be hard for dogs to digest (many dogs lack the enzyme needed to break down the milk's lactose) and then there are all the possible allergy problems, not to mention some of the possible ingredients. In a medium bowl, cream together mashed bananas, peanut butter and honey. Add yogurt and mix until bleneded. Place blueberries on the bottom of 3oz freezable cups. Spoon yogurt mixture into cups and place in freezer until it is partially frozen (about an hour). Place a peanut butter treat stick in the center of the pupsicle to create a stick and place back in the freezer until frozen (about 2 hours). 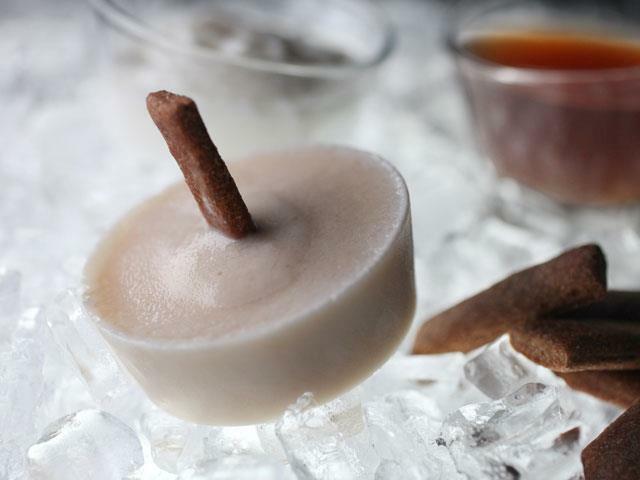 To make smaller Pupsicles, use an ice cube tray in place of the 3 oz cups. To feed, pop the Pupsicle out of the cup and into a bowl by pressing on the bottom of the cup...Then Serve. 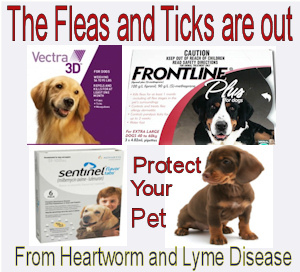 Flu Season: Is your Dog at Risk? What in the World is your Dog Thinking ? You Never know whats around the corner! Canine Obesity: Is your dog overweight? Smile for the Camera: Canine Photo Tips! 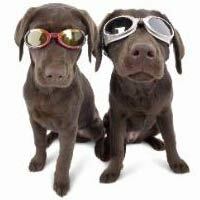 Exercise and your dog during the Heat of Summer! The dog-a black Lab- was clearly in trouble. You could see it in his lost eyes and disoriented body language. The dog and his owner had just finished a 3 mile loop on an asphalt public trailand the late-spring heat was sweltering. The dog was panting heavily-too heavily. As the owner head him to his truck, the dog began to veer, quite obviously dizzy. Fear is a powerful emotion, and the owner quickly realized his overweight dog was in trouble. He scooped him up and off they went, presumably (hopefully in time) to the closest veterinarian. When dogs are exposed to high temperatures - particularly overweight and out of shape dogs - heat exhaustion or heat stroke can strike quickly and ruthlessly. Heat stroke is a serious condition requiring immediate medical attention. Once you detect the signs, you have little time before serious damage, even death occurs. Humans dissipate heat by sweating through their skin. Dogs do not. They release heat by panting and sweating through their foot pads and nose. If a dog can't effectively expel heat, its internal body temperature elevates - sometimes very quickly. If the dogs temperature reaches 106 degrees, its a dire situation. Irreversable organ damage can and often does happen. Conscientious dog owners can recognize the signs of heat stroke and prevent it from happening to their favorite four legged companions. We owe it to them to be prepared for the unforeseen. Signs include increased body temperature(more than 104 degrees requires immediate action); excessive, vigorous panting; dark, red gums; dry gums; dizziness; an unwillingness or inability to get up; and unconsciousness. A word to the wise dog owner: If you have the slightest inkling your dog is in teh throwes of heat stroke, take immediate action. He who hesitates could lose his dog. Remove your dog from the sun and heat and get him in the shade. Even better, an air-conditioned vehicle or house. Begin cooling your dog by placing cool, wet rags or washcloths on his body--particularly his foot pads, around the head, armpits, groin, etc. Do not use ice or exctremely cold water. Extreme cold can cause the blood vessels to constrict, which, in turn, can stop the body's core temperature from cooling and actually cause the internal temperature to increase more. Offer your dog cool water, but do not force your dog to drink. Most importantly, get your dog to a veterinarian immediately - even if he seems to be doing better. Internal organ damage cannot be determined by the casual, untrained eye. The goal is to prevent heat stroke. Avoid rigorous exercise on extremely warm days. In the heat of summer, conduct training and conditioning early in the morning (the preferred option) or after the sun goes down. Water training is worth considering, although water thats too warm can cause heat-related problems too. 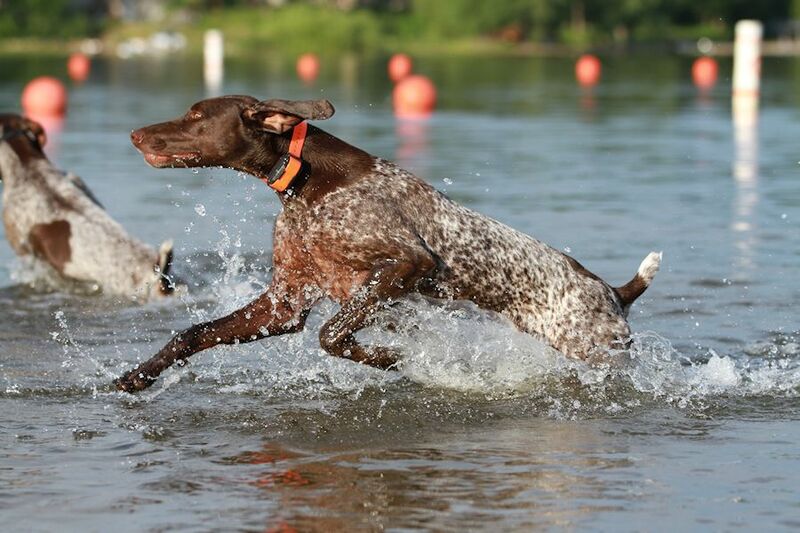 Provide your dog plenty of fresh, cool water. If you have an outside dog but the heat is unbearable to you, bring your pooch indoors and dont exercise him. Never leave your dog in a vehicle on a warm day, even if the windows are open. The inside of a vehicle (or truck topper) can act like an oven, with temperatures rising to dangerously high levels in minutes. Another poiont: Asphalt can get extremely hot for your dogs pads and more quickly raise Fido's internal body temperature. If the surface is too hot for you, its too hot foryour dog too. Prepare for an emergency. Have a first-aid kit on hand and make sure it has a thermometer. Have your vets number in your cell phone. Always have a plan to take care of your dog as you condition him for hunting season. If you dont, you may be whisking your dog off to the vet, his very life hanging in the balance. Additional drop off and pick up times are available by appointment only. Guests must be picked-up by 6:00 pm as our doors close promptly at that time. A late pick-up fee of $20.00 will be applied for any pick-up after 6:00 pm unless arrangements have been made well in advance.